At Varico, we offer a broad range of polycarbonate roofing sheets ideal for any commercial roofing project. Whether you’re looking for a polycarbonate sheet for a greenhouse, a carport, a canopy or a conservatory roof, you’ll be sure to find an ideal product at Varico. Each of our polycarbonate sheets has been hand-picked by the Varico team for its strength and durability and comes with a ten-year manufacturer warranty for your added convenience and peace of mind. Not only does this mean that you’re protected should anything go wrong with your sheets, but it also means that you can pass on reassurance to your end clients, without the worry of additional material costs should issues arise. 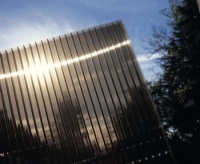 Varico is a proud stockist and supplier of multiwall polycarbonate sheets available in a wide range of sizes. 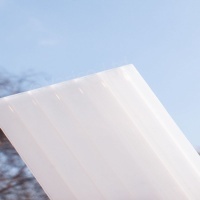 From our 4 mm sheets ideal for greenhouses and 10 mm sheets for carports and canopy roofs, right through to our 35 mm polycarbonate sheet for conservatory roofs, you’re bound to find the ideal product for your exacting requirements. What’s more, all of our sheets are available in a wide variety of coloured finishes – from clear sheets to bronze and opal alternatives which offer privacy and unique aesthetic value. For use in conservatory roofs, canopies and commercial / industrial roofing applications. 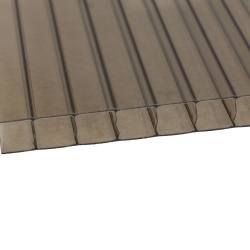 Available in 10mm, 16mm, 25mm, 32mm, 35mm Thick Polycarbonate is a Versatile Sheet which is Perfect For Roofing Applications. 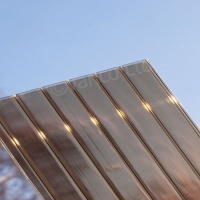 Our 4mm Sheet Is Perfect For Use In Greenhouses And Provides A Good Safe Alternative To Glass. 10mm and 16mm polycarbonate is the ideal choice when constructing car ports, canopies, pergolas or small lean to conservatory roofs. 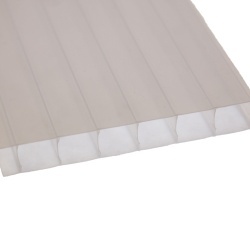 25mm, 32mm and 35mm polycarbonate is the ideal sheet for conservatory roofs. Great if you are constructing a new conservatory roof or simply replacing damaged or broken panels. 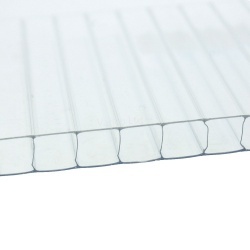 Twinwall, Triplewall, Multiwall, Fivewall & X Structure Polycarbonate Sheet Flute Configurations available. Supplied by Varico with Nationwide delivery service available. Based in Aldridge, Walsall, West Midlands Varico is a family run business. With over 40 years experience in the industry we have a wealth of knowledge. Contact us with any technical enquires or sales enquiries that you have. 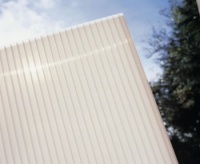 Because we understand the differing needs and requirements of our clients, we offer our polycarbonate sheets in a wide variety of colours and thicknesses. 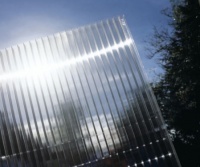 If you’re looking for a cost-effective alternative to glass panels, consider our 4 mm sheet, which is ideal for use within greenhouse installations. Providing the strength, durability and appearance of glass, the material is much cheaper and negates the chances of cracks and breakages. For carports, pergolas and small lean-to conservatory roofs, try out our 10 mm and 16 mm polycarbonate sheets, which offer added strength and durability over glass without the cost and fragility. The benefits of polycarbonate roofing extend to its ease of maintenance, ability to withstand force from elements such as wind and rain, and their ability to block harmful UV rays, reducing temperatures and UV exposure in properties. As polycarbonate sheets are resistant to heat, snow, rain and sunlight, they can withstand the elements and provide long-lasting protection whether used as a conservatory roof or a greenhouse. Their unique ability to last for years without fading and discolouring is also a benefit to property owners looking for a cost-effective, reliable material for their homes. Based in Aldridge, Walsall, West Midlands, Varico is a family-run business with more than forty years of experience in the industry. As well as specialising in the supply of polycarbonate sheets, we offer products such as glazing bars, canopies, corrugated roofing and cylinder locks, making us the first choice for contractors across the country looking for reliable, cost-effective and attractive roofing solutions. On every order of a polycarbonate sheet, we offer delivery from £14.49, fulfilled by Royal Mail, TNT, Yodel and APC Overnight. Because of our prominent position and ease of reach from the M1, M5, M6 and M54 motorways, we can deliver nationwide in just a couple of days. 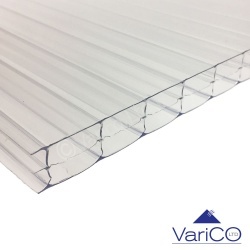 If you require polycarbonate sheets at short notice, Varico is on hand to help – just get in touch with our friendly team on 01922 455338 to discuss your roofing needs in more detail.